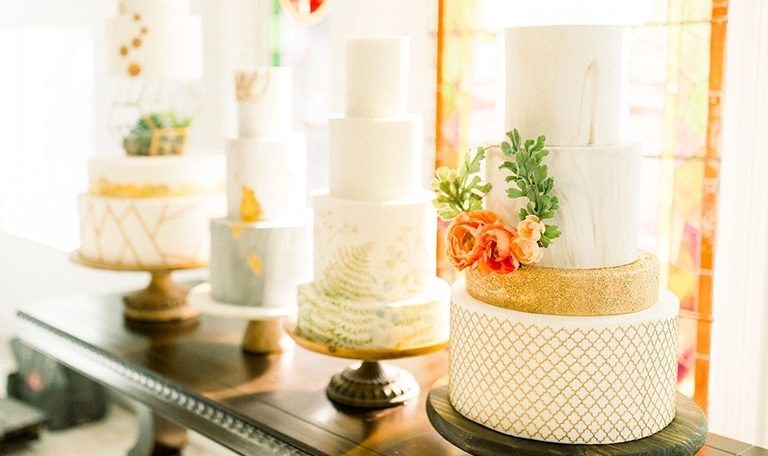 Welcome to The Cake Barn, established in 2010 by cake designer Jaime Williams. Our goal is to work collaboratively with our clients in designing what is to be the centerpiece for their very special occasions while also ensuring your cake tastes as delicious as it looks. We hope you feel inspired by our cake designs and we look forward to working with you to create the cake of your dreams. Watch me in action on The Cake Barn Instagram TV channel. I wanted to take the time and thank you again for the most fabulous grooms cake a couple could ask for! Ours was the crate with crawfish tray, the bucket of beer cake and the magnolias. Oh my goodness, people just raved and raved about it! They could not believe the beer wasn't "real" so we had to show them the real beer next to the sugar beer bottles. It tasted just as good as it looked! People are still talking about the awesome cake! Thank you again! You are a true artist! Jaime, thank you for your amazing work on the Rino wedding cake for our client! The cake was out of this world and our client was definitely pleased with your work! Looking forward to working with you again in the future! Thank you so much for helping me during your busiest time of the year. It wouldn't be a wedding without a cake from The Cake Barn! Jaime, we wanted to let you know how much we appreciate you making such a beautiful wedding cake for us! It tasted amazing!!! We are so grateful to have had you be a part of our special day! Jaime, I just had to tell you how beautiful the two cakes were, but especially how delicious! Keep up your expertise and consistency! I am so happy we picked you for the job! Thank you for helping to make Emily and Jim's wedding so special. The cake and cupcakes you prepared were perfect - just what she envisioned! As always, the guests had nothing but raves about the delicious flavors and decorations. Thank you again for sharing your talent and gift with us. Jaime, thank you for the beautiful work you did on Kelle and Mike's wedding cake! It was perfect and the detail work amazingly elegant! It surely tasted great too because there was not any left (just crumbs). Thanks again for being a part of our special day! Thank you so much for making our wedding cake! It was absolutely beautiful and tasted just as good as it looked! Our guests enjoyed it and spoke very highly of it. It was a pleasure to meet you and my mom and I enjoyed sampling all your delicious cake choices. Thank you for making our wedding day even more fabulous with your beautiful creation. I will recommend The Cake Barn every chance I get and am looking forward to celebrating many special occasion with your beautiful and delicious creations in the years to come. Chase & I can't thank y'all enough for making our more than perfect cakes for our wedding!! We have gotten so many compliments not only on just how beautiful they were but on how good they tasted. Both cakes exceeded our expectations! Thank y'all for all the time and detail you put into our cakes! Thanks again Cake Barn for my beautiful wedding cake! We just recently ate our one year anniversary topper - it was still great a year later! Please let me know if I can help you in any way! Clayton and I just wanted to say thank you for your time and effort on making our BEAUTIFUL wedding cakes! I can't tell you how many compliments we got on both the bride's cake and groom's cake. They were exactly what we were hoping for! I have already sent many friends your way for cakes and will continue to do so! Thanks again!